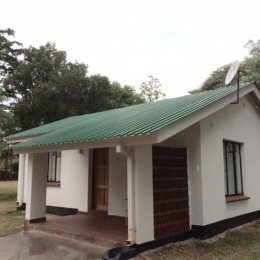 Kizingo Cottages are fully serviced cottages that make a perfect place to stay while on holiday or a business trip to the city of Harare. We offer discounts for people that wish to stay for longer than one month. Each unit comes with high speed 30mpbs fiber broadband. We have our own borehole and reliable electricity. Each Cottage also comes with DSTV and flat screen Tvs. We provide a daily maid service. We are located in a private safe quite suburb of Harare in 4 acres of Gardens. We are a short drive from the high end shopping Center restaurants Bars and cinema complex of Sam Levy's Village in Borrowdale.